Hampton Airfield – Come fly with us! Take flight and explore the airfield. We are more than just an airport. We are a community. We have a rich story taking flight. 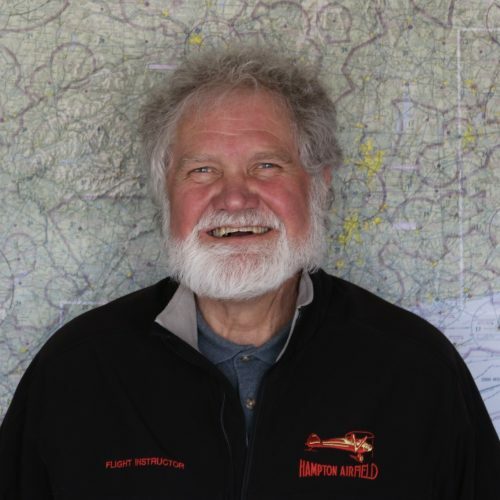 Hampton Airfield has several instructors with nearly 50 years of experience. From Light Sport to Private and beyond! Bill began flying in 1949 with his dad in his tail wheel Stinson out of an 1100 foot grass runway~Rose Field in Orient NY~still there and still on the map! 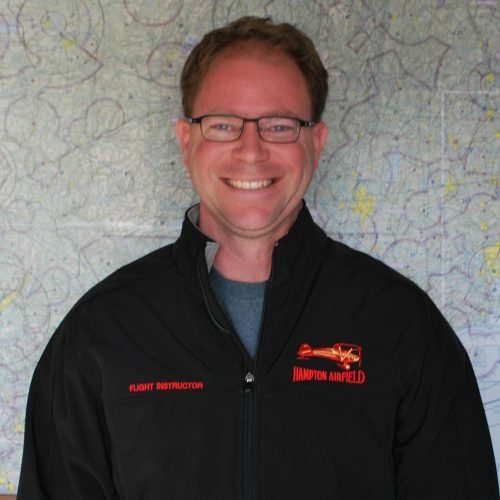 He obtained his private pilots' license at age 18 and his commercial, instrument, instructors, and instrument instructor at 22 from American Flyers and then went to work for Flight Safety. In February of 1966 he was hired by Pan Am and spent 25 years there as copilot/flight navigator on the DC-8 and Boeing 707/720 and 747 and as captain on the Boeing 727. After Pan Am went under in 1991, Bill spent 11 years as a 727/737 captain at Delta retiring in 2002. Since then he has been flight instructing in what he calls ``real`` airplanes. I started flying when a friend, who was taking lessons at the time, took me to the airport, put me in the right seat with his instructor, and let me fly the plane. At that point I was hooked. The following week I was in ground school. 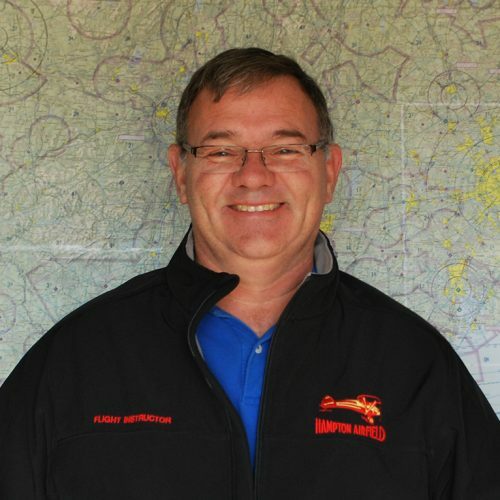 I have enjoyed flying and instructing ever since. After retirement, I decided to become a full-time instructor at the Hampton Airfield. First time I walked in I felt welcome people were friendly and supportive and I have enjoyed working here with the family atmosphere. The greatest reward from teaching is watching the ͞aha͟ moment when students master the aircraft, perform unassisted landings, and helping the students reach their goals and achieve their dreams.